In 2016, the majority of us are smartphone and/or tablet users. We see them during business meetings, and we see people glued to them while socialising. For most of us, both types of device have replaced computers for personal use – we use them to do accounting, create text documents and spreadsheets, and even use them to check onto a flight. 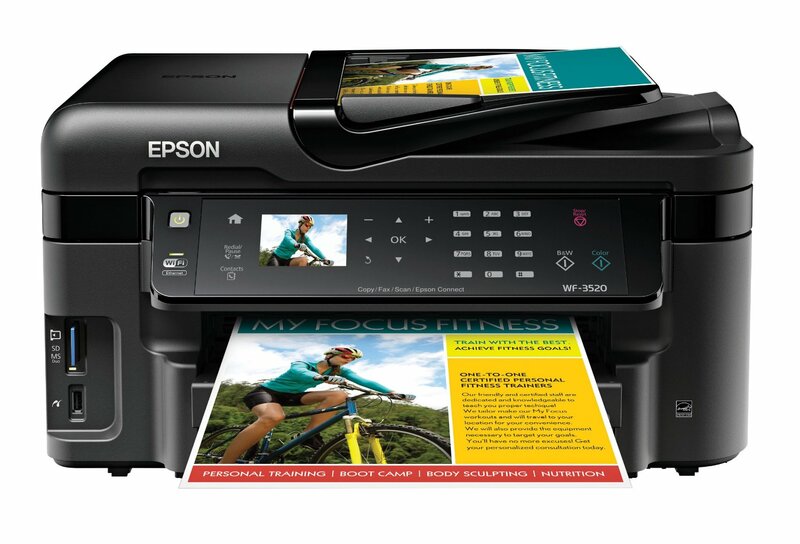 As technology has developed rapidly since the advent of the very first smartphones and tablets, these devices now include an option that allows us to print via wireless or a Bluetooth connection at home or in the office. And that begs a relevant question: Why do we still need printers? Sure, they are not always easy to use – their connections are not always reliable, they take up unnecessary space, paper jams still happen, and ink costs a small fortune. Most airlines and airports now have the facility to read boarding passes downloaded to our mobile devices, but even in 2016, not every airport or airline is able to do so. Printing a boarding pass at home or in the office allows us to avoid this potentially embarrassing (and costly) situation if the airline does not accept e-boarding passes. Take paper – it’ll give you some piece of mind, even if it’s not needed. This is more a personal choice depending on the copy-editor/proof-reader, but for some involved in this line of creative industry, having paper is simply better. Reading on a screen can cause eye-strain easier than using a physical document. Eye-strain can lead to a drop in attention to detail, meaning mistakes in copy can slip through easier. With the development of photo and video cameras – especially on mobile devices – it is now possible to photograph and document many aspects of your life without having to worry about whether you are about to run out of film. Cameras on mobile devices have also developed massively since their early days of grainy pictures. At the same time, printers have developed at a similarly impressive rate, meaning wireless all-in-one inkjet printers are now able to print clear images of camera quality. Nowadays, more businesses are using Cloud technologies and more employees are working from home to reduce costs. With Google having teamed up with a number of printer manufacturers, gone are the days of having to log-in to emails to attach and download printed attachments. Simple use Google Docs’ foolproof menu to navigate through its menus to print. This option also reduces time wasted in waiting for large files to download and print. Mistakes happen sometimes when it comes to returning goods purchased online. We have all ordered a t-shirt that’s a few sizes too small, and to return them – especially if they had been delivered by a distribution company such as FedEx or UPS – we sometimes need to print off a shipping label to do so. Having a printer at home removes the inconvenience of having to find a printing store if you have received the wrong product or made a mistake while buying online. Although virtual signature is already a thing, but most of the official documents are still being signed on paper. Sometimes it is even historically and culturally perceived as a tradition. Current technologies are advanced enough that almost all paper work would be done in digital format, however, at least in the near future, we are not likely to see sportsmen or politicians signing their contracts on a tablet. Sometimes we live without printers for months, but suddenly when you need it for some situations there is not replacement. It is good that technology lets us use less paper and ink in terms of environment. Nowadays even printer cartridges can be recycled multiple times. Printing industry itself seems to get greener. One of the reasons, of course, that there is less printing, but recycling has helped a lot as well. And how did your printing habits changed since 2000? Journalism.about.com – Are Newspapers Dying or Adapting in the Age of Digital News Consumption, 16 November, 2015. Inkplustoner.com – Toner and cartridge recycling, 16 January, 2016.